Aunt May’s serendipitously delivered speech kicks off Raimi’s well done list. Willem DaFoe’s portrayal of Green Goblin glides his ways onto the #8 spot on the list. The man who played our friendly neighborhood hero swings his way to the 8th spot on our list. This scene of an attempted operation checks in the #7 spot on our list. Peter Parker not only discovers his powers but discovers that this discovery lands him on the 6th spot on this best of Raimi’s Spidey list. 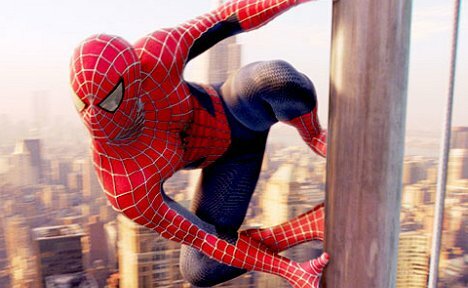 Drawing its line on the halfway point of the list is the overall look of the Spider-Man suit. On the #4 spot is the casting choice of J.K Simmons playing our favorite wise cracking, cigar smoking, web-head hating pickle puss, J. Jonah Jameson! Coming in at #3, it would be irresponsible if this event with great power was not included on the list. Although Spider-Man 3 was widely lambasted by critics & fanboys alike, this scene ends up forming at spot #2. Spidey & Ock’s high speed battle on the rails in Spider-Man 2 pulls right into the top spot on the list! So there you have it, the 10 best aspects in the Spider-Man trilogy. If you want to see the worst moments, click here! How did you feel about this list? Post a comment and let us know! And find out if The Amazing Spider-Man will live up to expectations when it swings into theaters on Tuesday July 3, 2012! A bit about Captain Zap: I myself am a big fan of the Spider-Man character, in fact the earliest memories I have on the planet involve Spider-Man in some way.Understand that I was born in the early 1970s and this was the decade where Marvel really began to achieve mainstream popularity.Indeed the Hulk, Captain America, Iron-Man, Howard The Duck, Thor and of course Spider-Man were everywhere. I would dare to say that Marvel characters were as ubiquitous in the 70s as they are now. A bit about J. Tascio: Let me preface this with saying, Spider-Man is my hero. Laugh all you want, but I guarantee he’s a better role model than Kim Kardashian. I was never the most popular, had acne, got bullied, cared more about learning than I did athletics. But I always had my comics books and movies to get lost in when I needed to. Most importantly, I had my Spider-Man books. As far back as I can remember I was always reading Spider-Man comics. They had given me the feeling that I wasn’t as alone as I’d felt. So, when the movies were made, I was incredibly excited. Now, 10 years later, we get to look back on them with nostalgia.